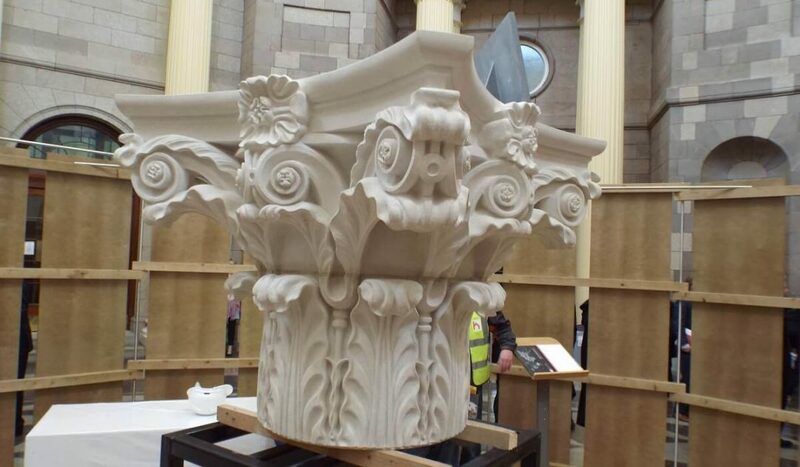 Following the identification of cracking internally to the Four Courts Dome and loose sections of the capitals externally, a remedial works project was instigated. 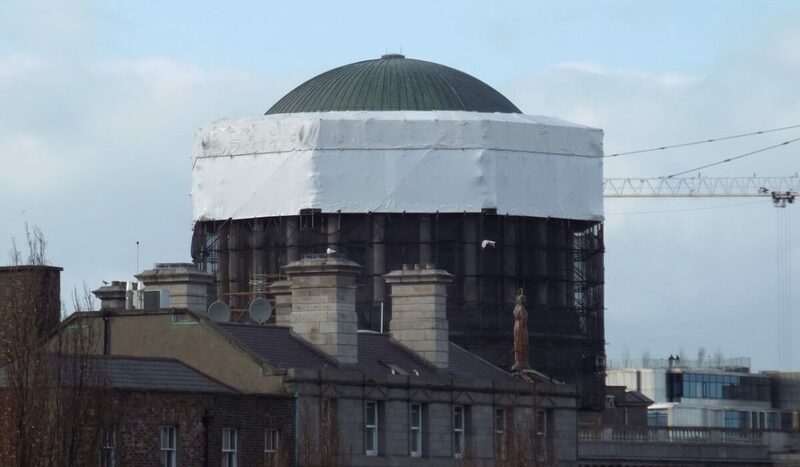 The project involves the investigation and consequent remedial works to the Four Courts Upper Dome internally and externally including stone and concrete repairs to the historic fabric. 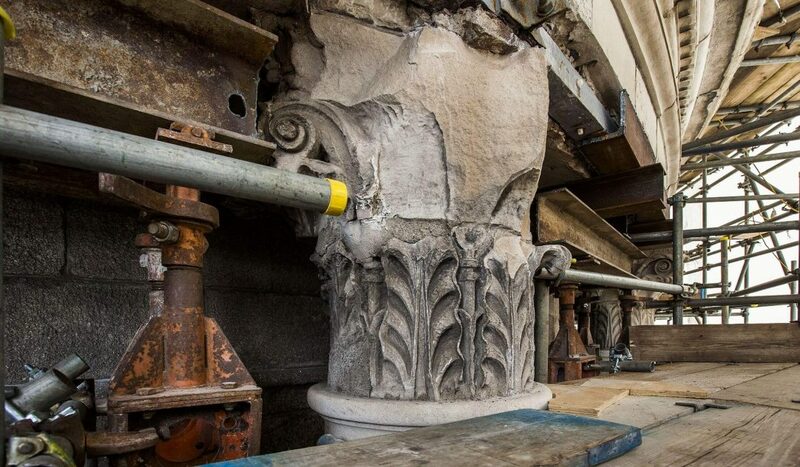 Concrete repairs, resurfacing and cathodic protections were completed to the upper Dome internally and specialist plaster repairs to the original ceiling and a full decoration were carried out to the Lower Dome (Rotunda Room). 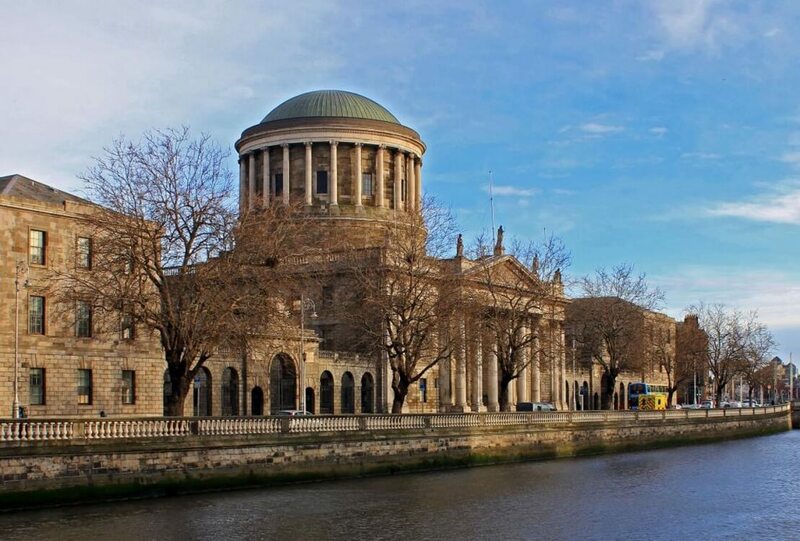 External repairs are on-going and these include replacement original stone capitals which are beyond repair, repairs to remaining stone capitals, repairs and cleaning to stone parapets and specialist scaffolding and temporary propping to facilitate these works.